It is a text about Easter with filling in the gaps. 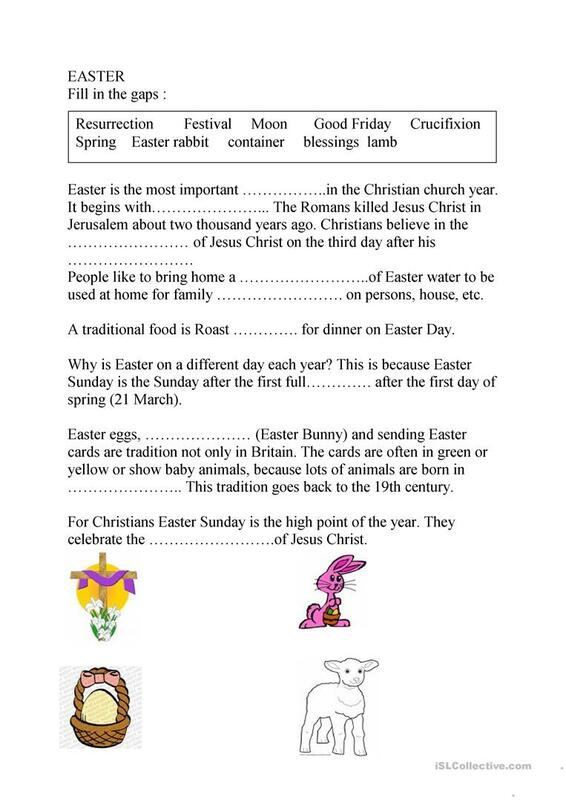 It contains 4 pictures concerning Easter to name. The above downloadable teaching material was created for adults at Intermediate (B1) level. It centers around the topic and words of Easter.